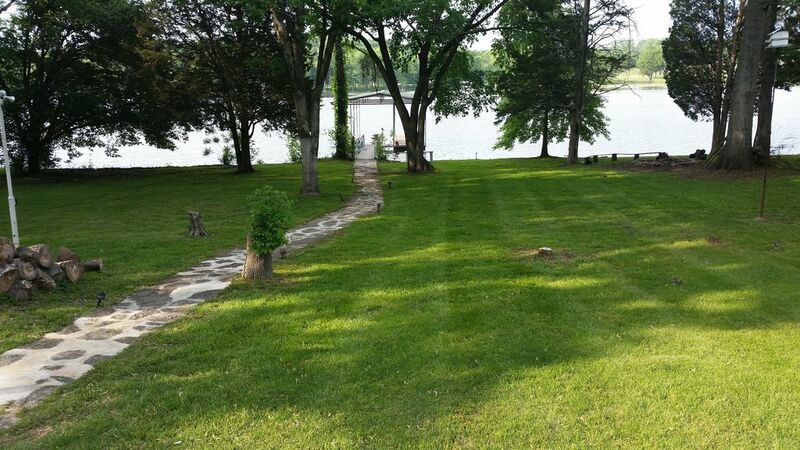 This is a gorgeous 3 Bed/ 2 Bath lake home on Old Hickory Lake. This home has a warm,cozy cabin feel that boasts a stone fireplace, large windows over viewing the lake with tons of amenities. The home features a covered recreational boat dock, enclosed covered hot tub, pool/ping pong table, dart board, large entertainment and dining back patio, stone pathway to the lake, multiple firepit locations on property, washing and drying unit, as well as a large paved driveway for plenty of parking. The home sits on over 1 acre of land. Must see to appreciate! This property is good for a couples getaway to a family fun week or large family events. Even accommodations for more, such as weddings! Additionally this place is a fisherman's paradise, bring your own boat and dock it while you stay. No boat? No problem! Plenty of fish to be caught from the dock! toilet, combination tub/shower, Enjoy a long hot shower after a day on the lake! toilet, shower, a quick shower before going out shopping! Old Hickory Lake can be seen from inside or outside home. Located with a private boat dock. Great for fishing, swimming, or a great place for your fishing/recreational boats. View is on a private, residential cove. Directly on water w/ just a short walk down a stone walkway. Two dining areas inside and Outside on back deck. I did not check what type of mattress we slept on but we slept great, the game room was right on time, everyone enjoyed it as well as i. Several of my family members that are local to this area are planning to book a stay here. Overall we had fun fishing shooting pool playing ping pong the view was awesome! We really had a great time! We had such a good time. The lake house is awesome, everything was as it was advertised. The whole process was smooth and painless. Would definitely rent again! It was absolutely beautiful and we had a wonderful time. Easy to navigate and no surprises. Lake and dock were very clean and house had plenty of room. Great location on the lake. House was exactly as described. Stephen was very easy to deal with. Rented a boat at Cedar Creek Marina and had a great day on the lake. Thank you Stephen!! Located within minutes of one of the top-rated shopping areas in Nashville. Providence Market Place offers many name brand stores, restaurants, and even theatre accomodations. Providence has it ALL! Also located within 20 minutes of Nashville Shores, the only waterpark in middle Tennessee. Less than 25 minutes of dowtown Nashville, Tennessee! Owned and managed by a true Nashville native, and has owned home for 25 years. Due to growing in the Old Hickory Lake area, will provide all information to all local hot spots!